An online course to help you heal your relationship with food. Do you think about food, eating and your body ALL the time? Do you feel guilty after eating? Are you tired of cycling between dieting and restriction and overeating and binging? You’ll learn how to address all of this and more through 5 self-paced, interactive online modules. Learn how to ditch the dieting for good – with lifetime access to webinar presentations, modules, downloads, videos, worksheets, discussions & much more! 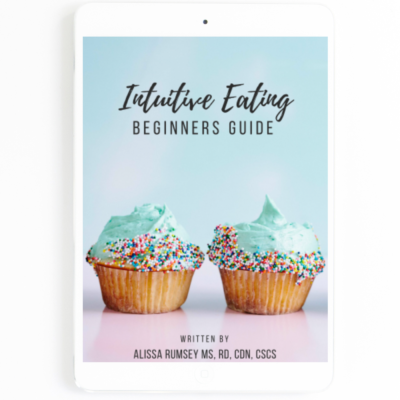 What’s Included in the Intuitive Eating Course? One-Time Payment Gets You Lifetime Access to All Resources, Presentations, Materials and Downloads! Is this Course is Right for You? Do you think about food, eating and your body ALL the time? Do you feel guilty after eating? Are you tired of cycling between dieting and restriction and overeating and binging? With this crash course, you’ll learn how to address all of this and more through 5 self-paced online modules. 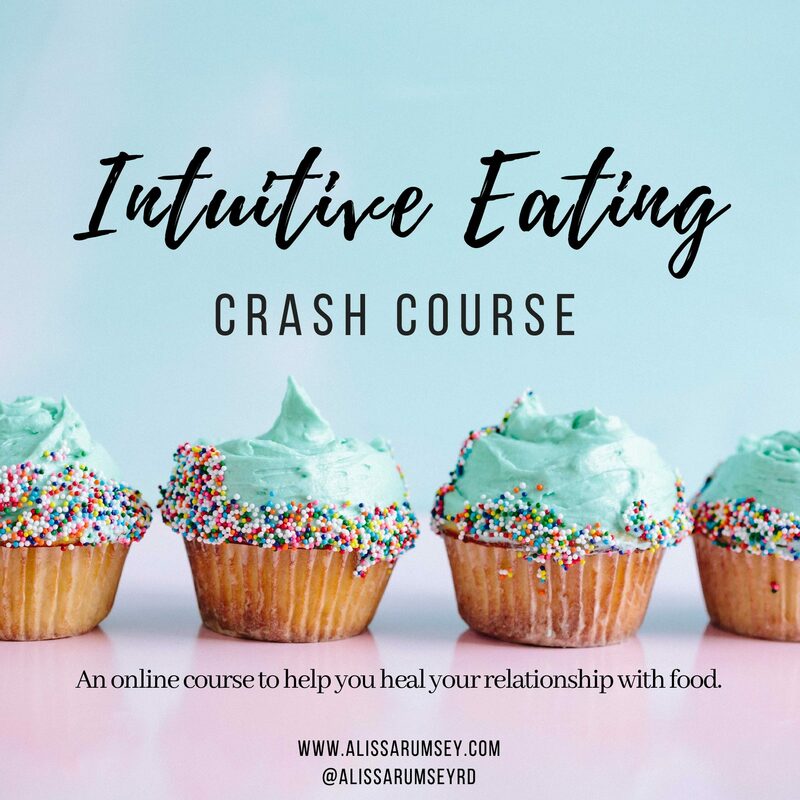 If you’re ready to stop dieting and want to finally heal your relationship with food – for good and at your own pace – this course is for you. 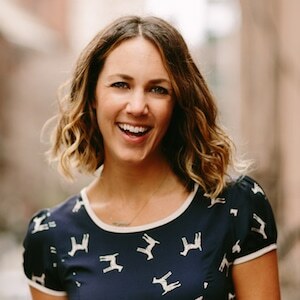 Alissa Rumsey is a nationally recognized and award-winning registered dietitian nutritionist and the founder of Alissa Rumsey Nutrition and Wellness. Alissa specializes in Intuitive Eating, body acceptance and disordered eating recovery. Her philosophy is rooted in the anti-diet and Health at Every Size (HAES) movement, as she believes true health comes from nurturing behaviors to enhance physical, mental and emotional wellbeing. Through her writing, speaking and one-on-one client work, she helps people who are frustrated with dieting rediscover the joy of eating and cultivate a healthy relationship with food and their bodies. Her expertise has appeared in hundreds of national media outlets including NBC Nightly News, ABC News, CBS, US News and World Report, Prevention, Health, SELF and Women’s Health.